If you’re outgoing and articulate, crazy about customer service, ready to help businesses succeed, and willing to work a flexible schedule including evenings, weekends and holidays, then your Eau Claire careers search may end here! If you’re outgoing and articulate, crazy about customer service, then your Eau Claire careers search may end here! My Receptionist is a leading provider of on‐demand front office support for small businesses, providing the tools and personnel to ensure their business is always responsive. My Receptionist streamlines front office operations by leveraging its experienced staff to respond to client requests and free up precious time. If you’re looking for Eau Claire careers, start your search with My Receptionist. You’ve seen the video, you’re ready to apply! Learn a little more about who we are and what we do before you submit your application. 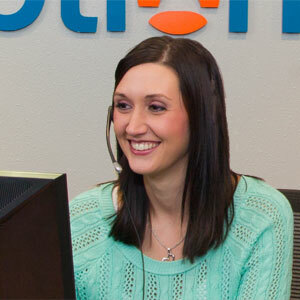 Learn more about what it’s like to be a virtual receptionist. Our blog is the perfect place for a behind the scenes look. Get to know the virtual receptionist team even better. Check out our Facebook page for a look at our latest office happenings.